My mother gave me an unintentional surprise a few weeks ago: she told me that “content is king.” My mom certainly isn’t an undercover content marketer — she uses the Internet to interact on Facebook and read gardening blogs — so this just proved to me that all Internet users are aware that content is capital for any online presence. Unfortunately for my mother, plain old content is no longer king. There is another star on the rise. I couldn’t agree more with Abhyudaya Tripathi who believes that interactive content is the new king. Conventional content will be here for many years to come, but interactive content will be more visible due to its impressive features. The real problem is that users’ attention spans are limited — extremely limited. According to Time magazine, the average person loses concentration after 8 seconds, which means that marketers need to hook readers in eight seconds or less! In this respect, conventional content can have significant limitations. Although it may have taken longer than eight seconds, I hope that I’ve enticed you to read on to learn about the seven types best types of interactive content and the advantages to using them. I believe that even a poorly executed piece of interactive content has a higher engagement rate than a good piece of conventional content. It makes sense because even the most primitive form of interactive content implies user action, so by its very nature it requires some degree of interaction. 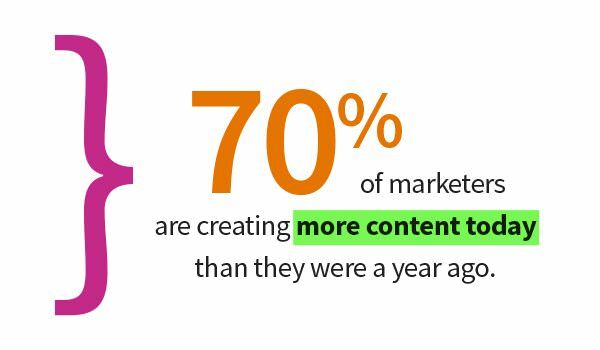 When it comes to B2B marketers, 70% are creating more content today than one year ago. That’s an awful lot of competition when it comes to getting people to read your articles, posts or other text-based content. But the difficulty lies in creating the type of content that actually engages the user. Interactive content generally gives people more value and therefore they are more inclined to trade their e-mail address for the experience and share the content on their social media — where photos are liked twice as much as text posts and videos are shared 12X more than text-only status updates. The type of engagement that you can expect to see from interactive content includes increased lead generation, link building and driving more traffic to your website. Marketers should serve their customers and potential customers as best they can, but they need more data about clients to do so. However, the more data that is required from customers, the less marketers seem to get, so it becomes a matter of mutual trust. Finding a solution to satisfy both parties is a tremendous challenge. Quizzes, polls and other interactive content allows the user to provide you with instant feedback, and this means that you not only have their contact info, but you can create more targeted and useful content for them, which naturally leads to brandy loyalty. Learn more about creating your own Twitter poll here. Ordinary content makes people see your brand as similar to many, many others — it’s hard to stand out from your competitors if you’re creating the same ol’ blog posts. 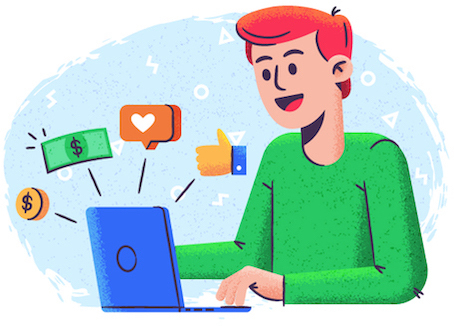 Interactive content not only has a greater chance of being liked and shared by consumers, but it helps develop brand loyalty because people come to see you as an expert in your particular niche. And when people trust you, they’re more likely to convert. This is the start of a profitable relationship and, if nurtured over time, your users will become brand advocates. Infographics are among the most shareable forms of content. 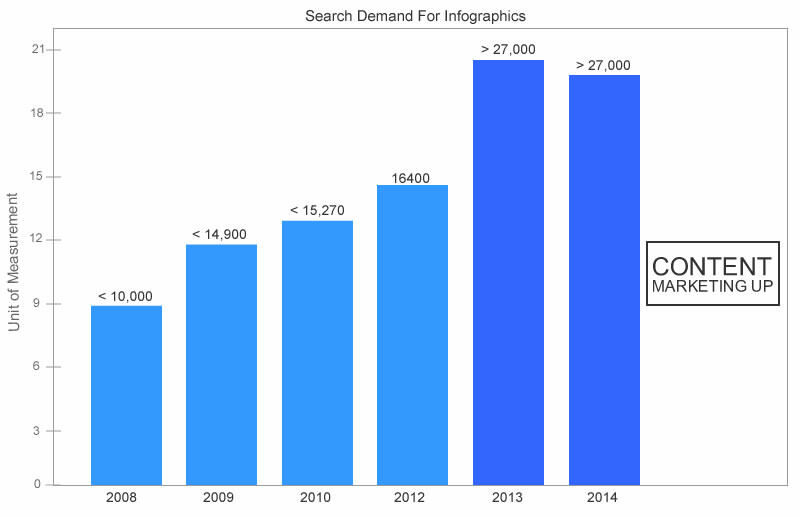 In 2014 marketing expert Neil Patel wrote a post explaining how to get an astronomical number of visitors by using infographics. Patel’s tips still work, but the competition is way harsher in 2017. To crush your competitors, you need to shift to creating interactive infographics. They must be beautifully designed and induce action from the user. In the majority of cases, users will have to click or scroll. Interactive infographics require more resources than static ones. If executed excellently, they can bring massive traffic, many backlinks and, of course, user engagement will go up. This is another stunning interactive infographic. 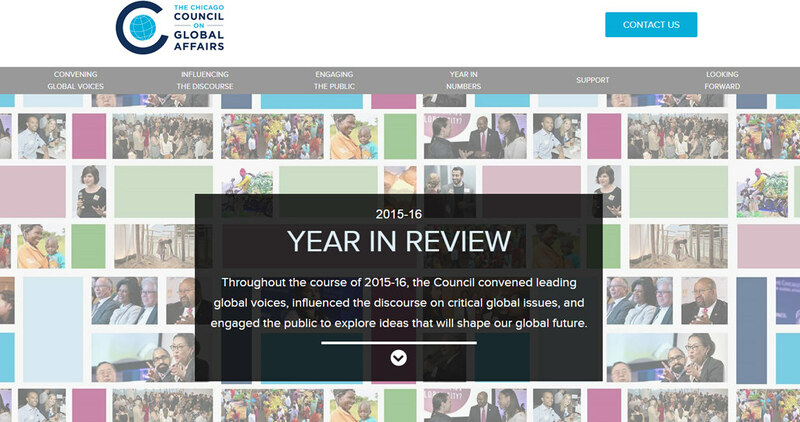 Usually the reports that review a year’s worth of activity are plain PDFs. They contain valuable information but are pretty hard to digest. The creators of this infographic, however, developed an enjoyable design with the raw information. 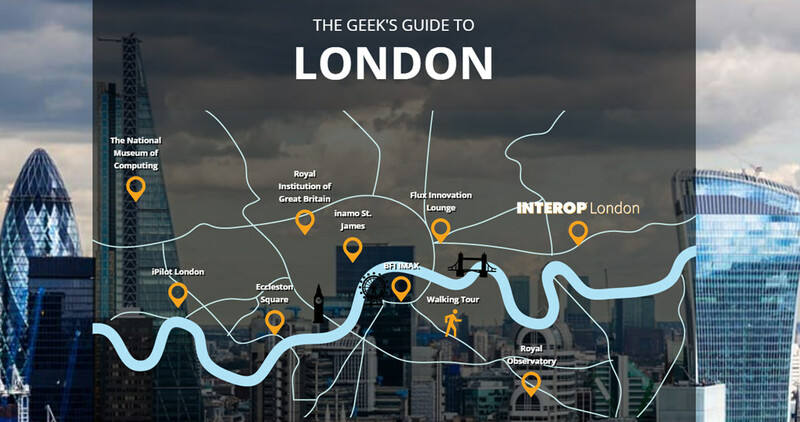 You can’t compare this cool infographic to a text-only report! Instead of a boring twenty- to thirty-page PDF, this infographic presents the data in a pleasant way. 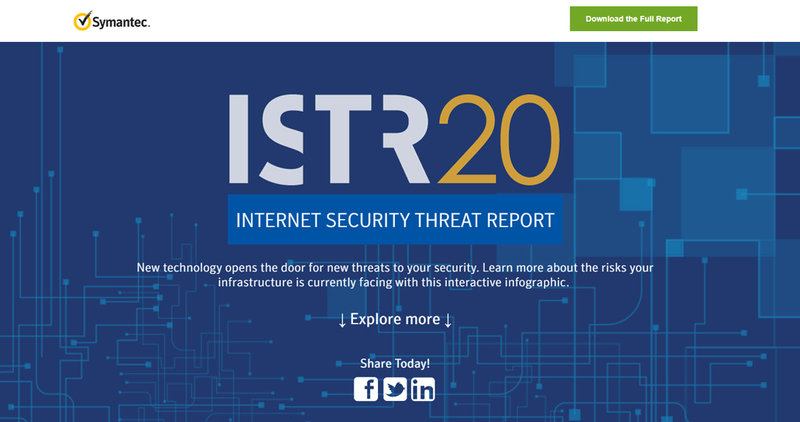 The Symantec team does a great job creating this interactive infographic. It looks great, and it captures users’ attention. 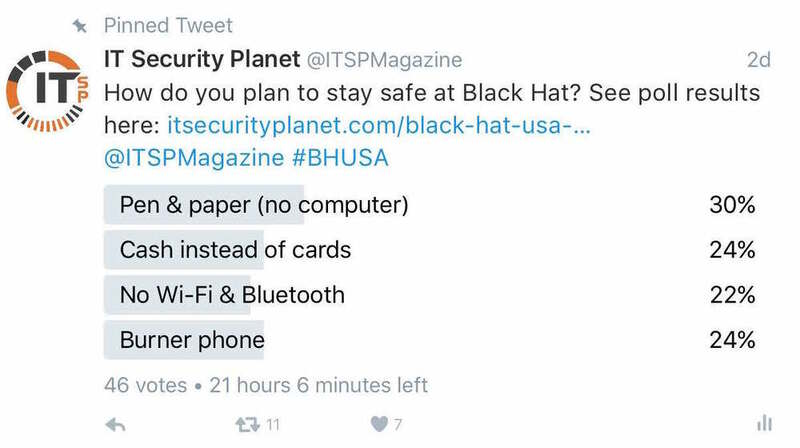 Even people who are not interested in cybersecurity are captivated by this fantastic work. Interactive infographics prove that dryer topics can be presented in enthusiastic ways. Users are happy that the information showcased is enjoyable while the creators are satisfied that their works are liked. Video consumption is on the rise and this trend will just keep growing. Marketers like video because it gives them more freedom to express their creativity while getting their message across. And despite that 51.9% of marketers say that video has the best ROI of all types of content, it’s not just marketers who are saying this: 43% of consumers say that they want more video content from brands. Be prepared to improve your video marketing campaigns. Clearly, adding some interactive elements is a smart strategy. 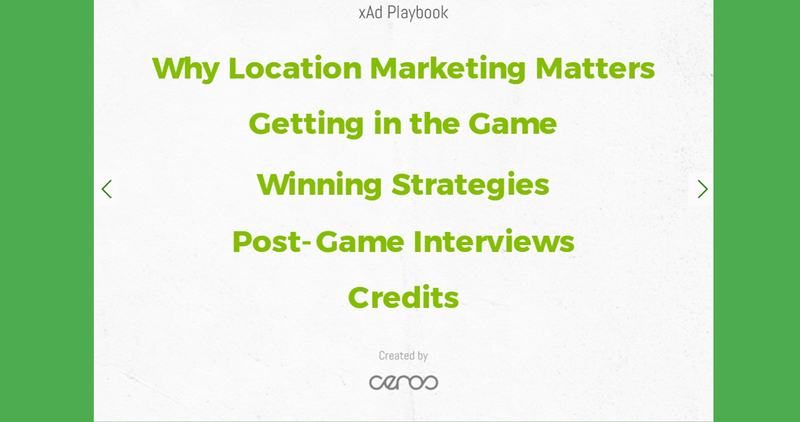 One of the most common ways to add interactivity to a video is the use of hotspots. These are tags that show additional information when the viewer clicks on them, such as directing them to another section of your video or a website. Other solutions are the addition of a calculator, poll or question. For more information, check out how to create a stunning interactive video. 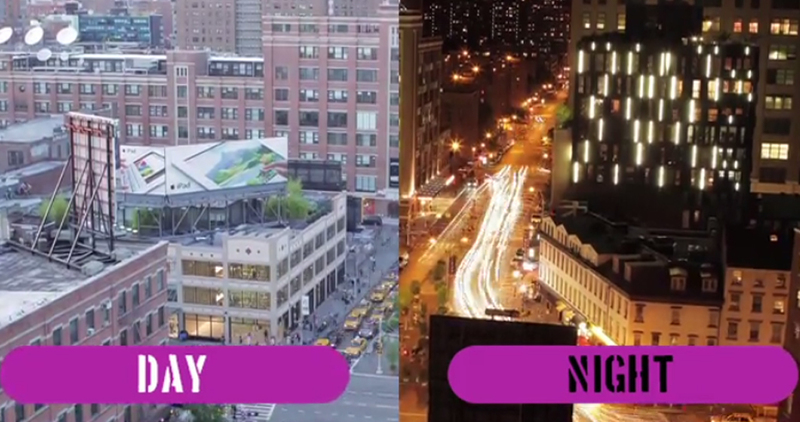 The following examples will make you fall in love with interactive video! To be honest, I don’t know anything about makeup or beauty products, but I spent five minutes watching this “interactive product tutorial video for consumer marketing and education” (which, in fact, consists of four video clips). If I, a 30-year-old male who wants nothing to do with any kind of makeup, can engage with this piece of content, imagine the level of engagement from a woman who is interested in it! 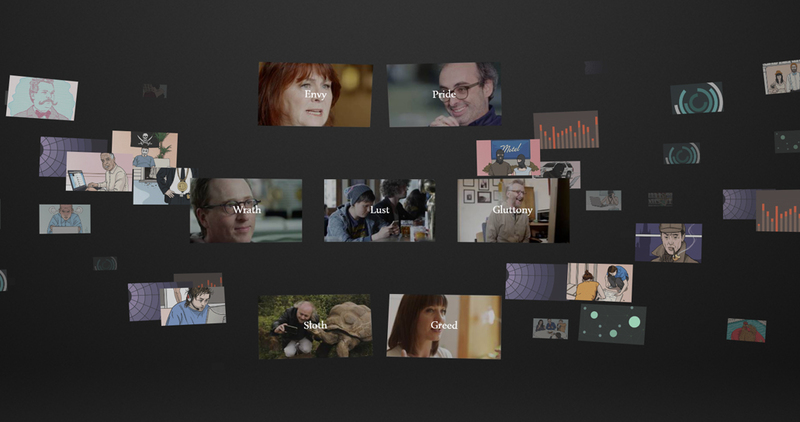 This interactive video required many resources, and only a large enough brand like The Guardian has the budget to create such a masterwork. It brings the concept of interactive video to a whole new level. The idea behind this video is to realize the mistakes we make when posting on social media. Each sin is showcased, and each one is backed by real-life examples. Check out the About section at the bottom of the page to read more about the purpose of this video. Polls and surveys are aimed at getting feedback and finding new user data. The great advantage of these forms is their unobtrusiveness. On top of that, polls and surveys are among the oldest forms of interactive content and have been successful across time. The success of polls and surveys resides in their shortness. Marketers want more information about users, but by asking for too much, they end up getting nothing. 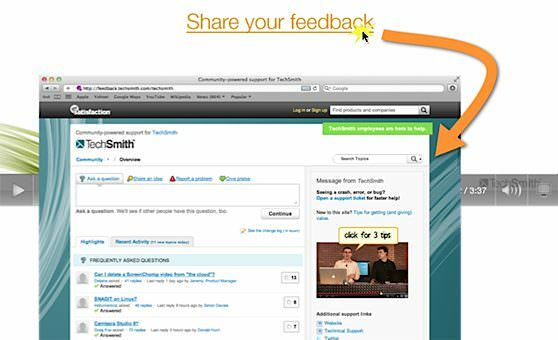 Depending on the complexity of the poll or survey, rewarding the users is recommended. Poll forms are generally situated on the lower part of the screen, are very discrete, and require minimal interaction. Surveys are more complex and require greater interaction. Check out the examples below to get an idea of what a successful survey looks like. A survey should be engaging enough to convince people to complete all the steps. 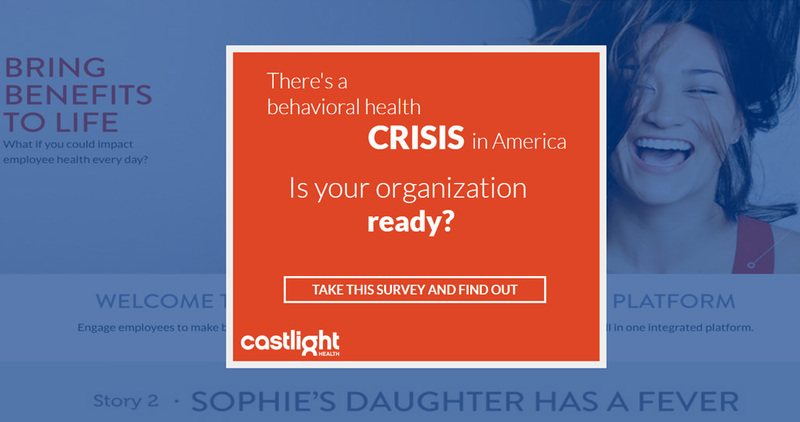 Even though the behavioral health crisis in America isn’t the most attractive topic, this survey looks great and drives people to complete it. I like the dynamic sliding effects; all the features are implemented to make the survey user-friendly. This survey (they call it a quiz, but it is a series of questions with no right or wrong answers, so it’s really a survey) is for travelers, and people can complete it in no time at all. 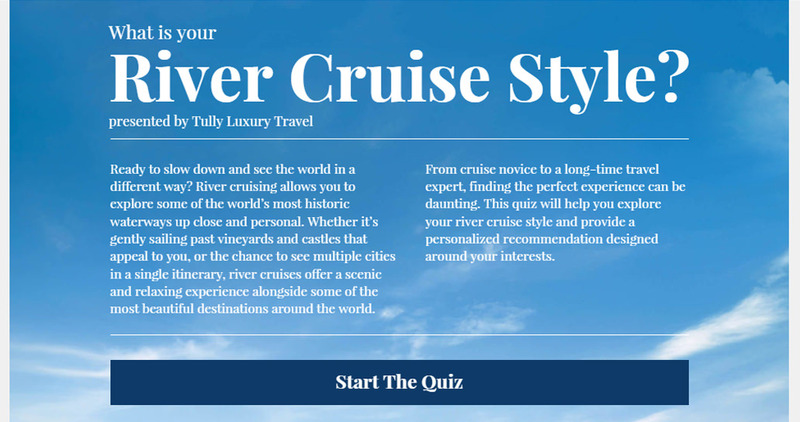 The idea of the “quiz” is simple — users are asked a few questions and, depending on the answers, they are recommended a particular place to visit. Calculators have the potential to make miracles happen in terms of leads and sales generated. This form of interactive content consists of taking the users’ input and, based on a formula, creating an answer (usually it’s numerical). Users highly appreciate this tool. 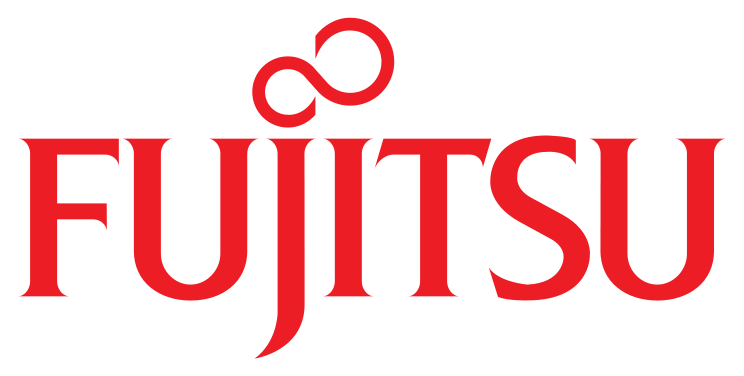 The philosophy of it is simple — no fluffy words, just pure data! A calculator provides precise results that are suitable for complex strategies. Instead of writing a lot of content describing a product or service, a calculator offers an accurate output of the gains resulting from purchasing that product or service. Leads know if it’s profitable to buy it or not. Harte Hanks, a marketing services organization, saw a 51% click-through rate when it created a market-intelligence calculator that tabulates the value of missed opportunities. SilkRoad, a talent management company, got over 250 new leads when they added their Onboarding ROI Calculator. SnapApp provides a beautiful calculator that, upon answering four quick questions, shows you the marketing ROI for your interactive content. Not bad at all, is it? 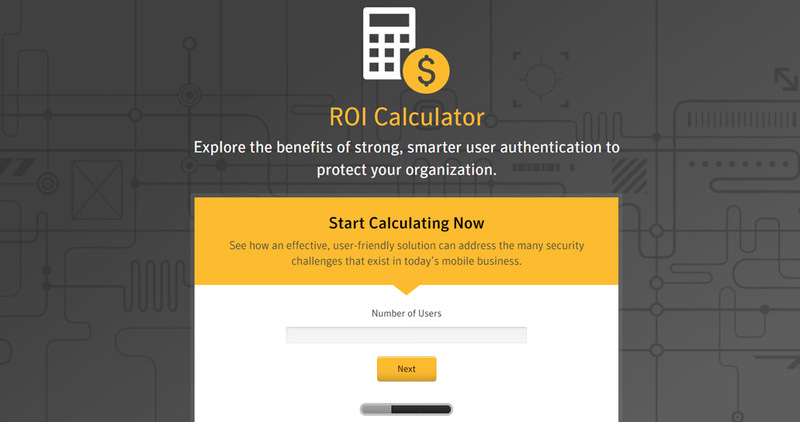 Symantec created a simple and useful calculator to do a short security audit of your organization and determine the advantages (i.e. ROI) of using two-factor authentication. I like this calculator because the results are backed by independent and recent studies: “Cyber Security Flaws in Working Practices” and the “Gartner Study.” This demonstrates that the results of the calculator aren’t biased to get more sales. 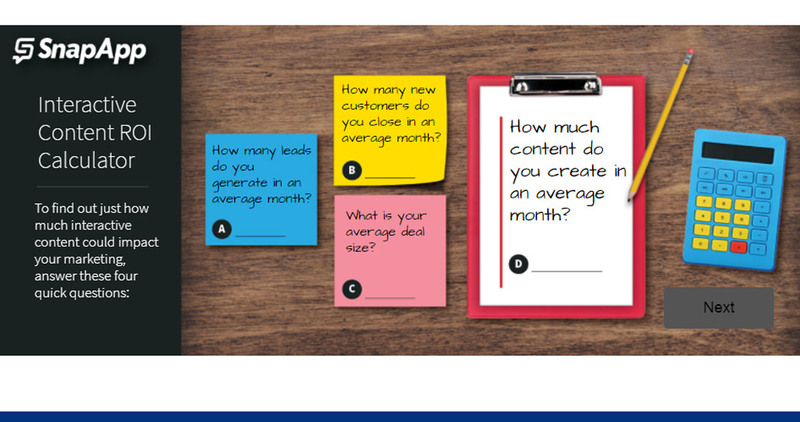 Digital marketing agency Single Grain provides a handy marketing ROI calculator. 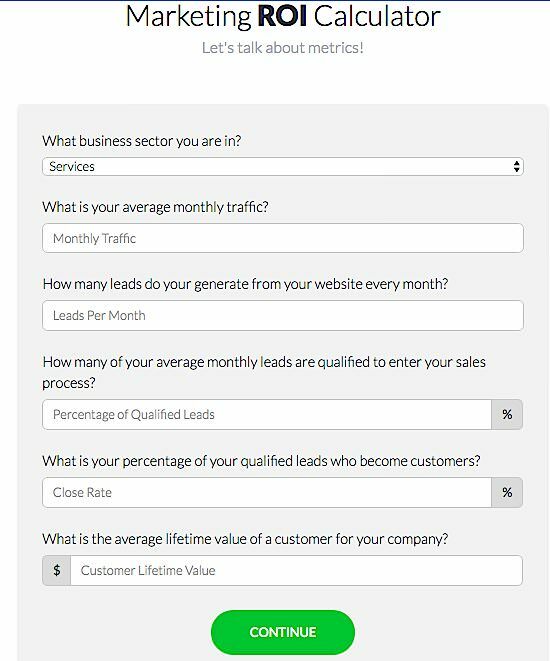 Simple questions like “What is your average monthly traffic?” and “How many leads do you generate from your website every month?” will allow you see some valuable metrics around your business. 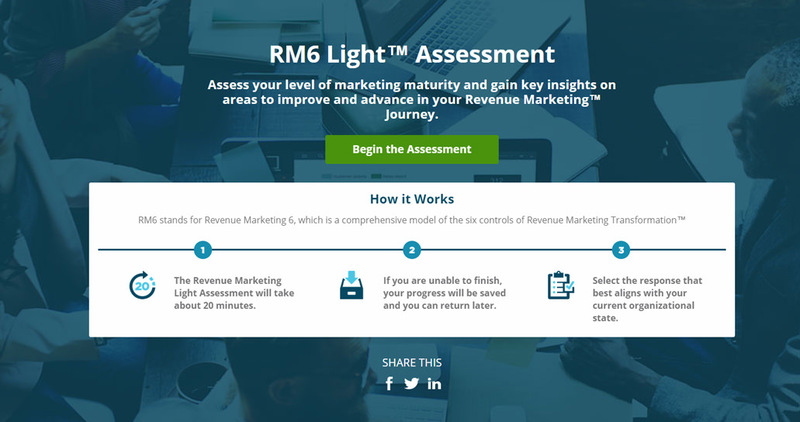 Some marketers used to call assessments “personality tests.” An assessment is a piece of interactive content in which the user provides answers to a few questions in order to receive insights based on them. It’s an objective form of getting quality feedback. By its very nature, assessments allow creators get plenty of information about the user, and assessments are the most appreciated form of interactive content regardless the stage of the buyer’s journey, so it’s a win-win situation. This is one of the simplest assessments I have ever taken, but its conclusions are invaluable. The test determines the content’s effectiveness and at the end you receive insights about improving your content strategy. The user experience is great, so you have many reasons to complete it. Comparing the time spent and the insights received, it’s a great bargain. SnapApp has created a simple and lovely assessment as well. It should give you an idea of what type of interactive content is right for your business. The design is a little bit too childish, but such an original approach may convert very well. 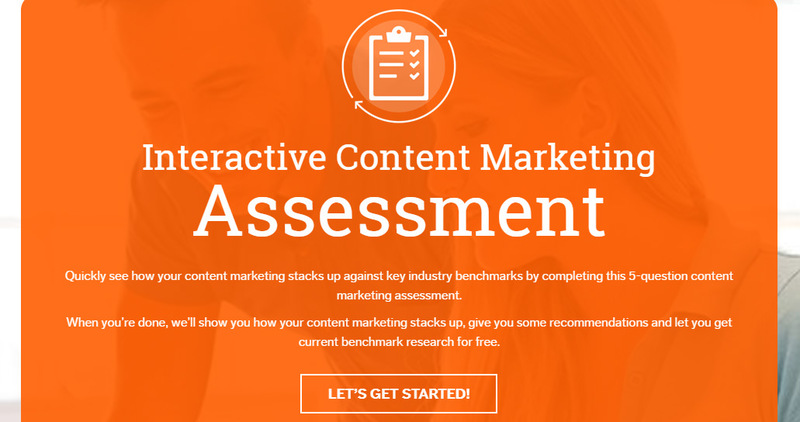 If you want to test the maturity of your content, this assessment is for you. Unlike the previous examples, this one is more formal, and you need to answer more questions. It makes me believe that this assessment is a best-fit for CEOs or top executive managers. There are some clear differences between e-books and white papers, but they have many things in common as well. If you want to know the differences and the similarities between e-books and white papers, I recommend reading this article. Basically, e-books and white papers allow for the sharing of a lot of information, usually in a concise manner. Regardless of the quality of the content and design, digesting a lot of information is a real chore for users, and taking into account the reduced attention span of most people, there is definitely room for improvement with these two formats. Interactive e-books and white papers captivate the readers and result in a higher engagement rate. Put some thought into creating this type of interactive content and you will be rewarded with more leads and sales in the long run. The examples below speak for themselves! This an epic e-book! Here is the work of a smart team of marketers, writers, and designers. The sliding effects let users understand that they are interacting with a live piece of content, the design makes it easy to read and scan, and you can tap or click on various images for more info. On top of that, this e-book requires users to input data which, of course, leads to higher engagement. The content is compelling and backed by data and research — it’s written by an expert for experts — so the overall user experience gets the highest marks from me! 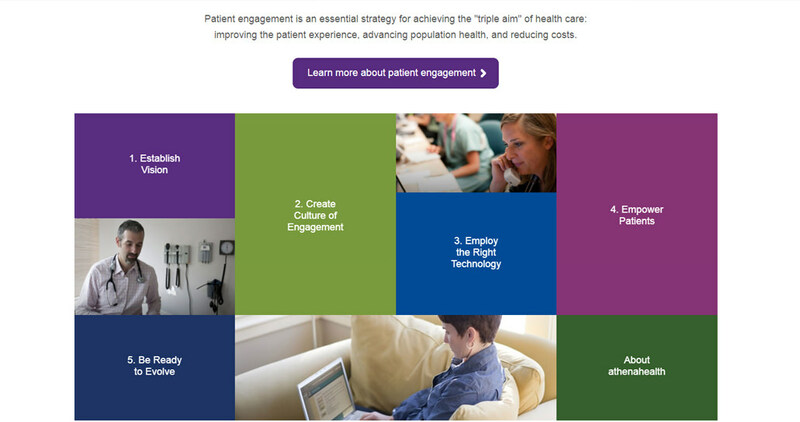 Atena Health created an interactive white paper called “5 Elements of a Successful Patient Engagement Strategy” that looks great and modern. It’s a tile-based design creation that attracts users with its eye-catching color scheme. It requires the input of the user by asking yes or no questions, and users can download the “classic” white paper. Because e-mail is a one-to-one rather than a one-to-many message, it’s a special way to nurture the relationship with clients. In spite of its massive advantages, e-mail has a few major flaws. The plain format is one of these shortcomings. Luckily, developers and marketers have come up with some solutions. Interactive e-mails are currently in the early stages, but the future is bright. 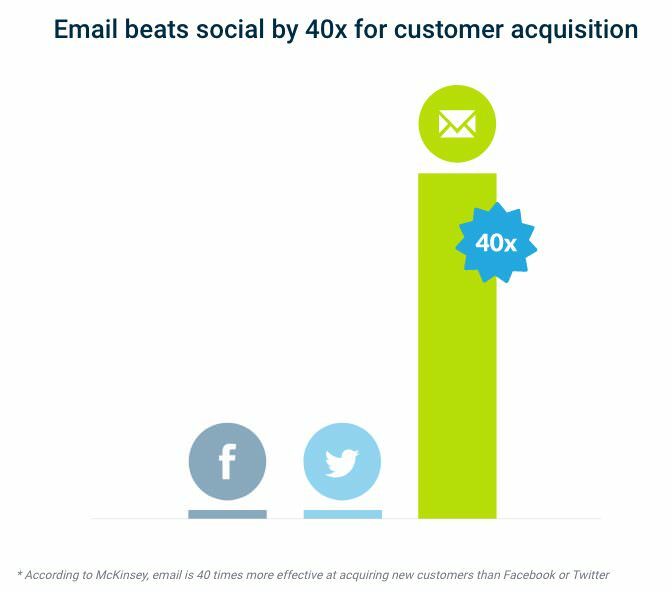 E-mail has the biggest ROI for marketers — for every $1 spent, e-mail marketing generates $38 in ROI — and adding interactive items will only transform it into an epic marketing tool. Signs show that digital marketers have taken into account interactive e-mails and are offering solutions in this respect. For example, Gmail has started to support media queries, and the latest iOS version supports video format within e-mail. Crafting an interactive e-mail is a job for experts as you’ll have to understand e-mail width and size as well as how to add counters, sliders, graphs, GIFs, videos, and integrated forms. This is an example of good use of interactivity. 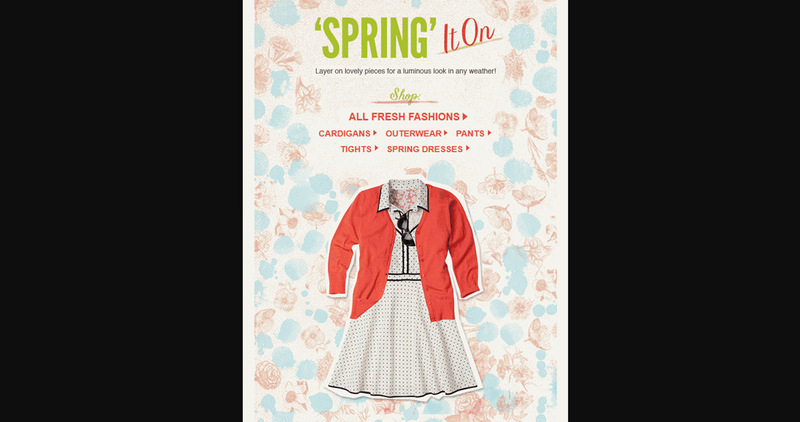 The e-mail is unitary and conveys a single message: spring has come, and you need to prepare for. It starts with a floral background that instantly drives freshness and joy. The typography is simple, and the e-mail is readable no matter the device used. The color combination of “Spring” in green and “It On” in red works well and emphasizes the idea of fresh and lovely. Finally, the images are displayed quickly and create a sense of urgency to click on favorite products. Interactivity goes hand-in-hand with animation. 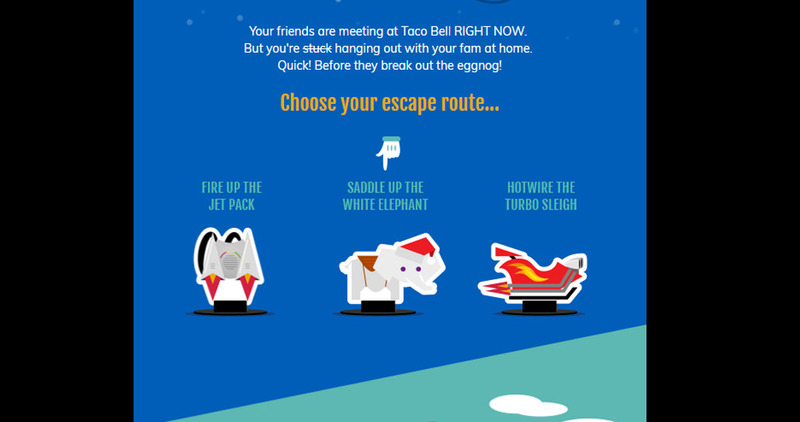 This e-mail, sent during winter holidays, has “How fast can you meet your friends” as the subject and they’ve turned the e-mail into a “board game.” The recipients have three solutions to choose from and all of them are amusing. Certainly, there is no sales message to annoy people; rather, it makes them smile! 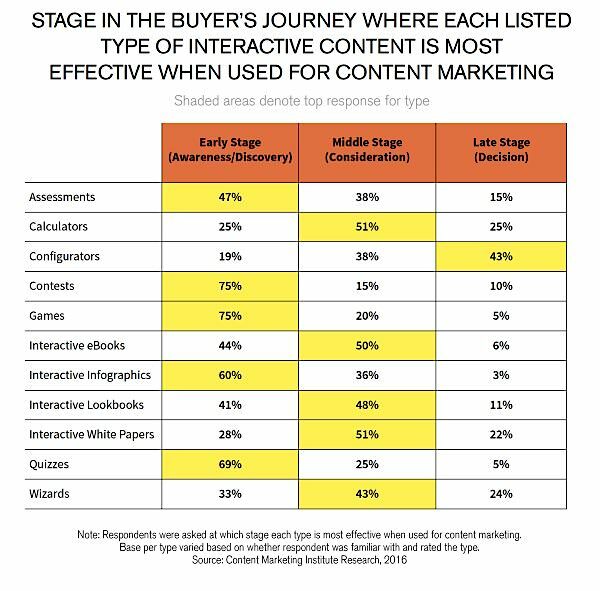 Interactive content is here to stay for many years. The tools to create interactive content are at hand, and delighting the users with it is easier than ever. It shouldn’t be a surprise to call 2017 as the year of interactive content. Roland Pokornyik is CEO and co-founder of Chamaileon.io & EDMdesigner.com. His company helps marketing teams of businesses, agencies and enterprises to create top-quality responsive e-mail templates with ease.